The right lighting creates the perfect atmosphere for your wine room. Supercone is a series of lamps uniting simplicity and complexity in the finest way. The objective behind the beautiful lamps is to make the bright light from even the most powerful modern energy saving bulbs soft and friendly in a beautiful and harmonious way. In addition, it is a basic principle of Supercone that the lamps are assembled based on the principles of tongue and groove. The lamps are thus assembled by hand without the use of glue, screws, clips or nails. The most ingenious ideas often arise from basic and simple principles. The Supercone design pays a great homage to and respect for Danish design's history and tradition. The Supercone iconic expression is inspired by shapes from nature. The minimalist expression holds a clear recognition towards the Danish and Scandinavian modernist tradition of interior design, decor and giving shape. A brilliant detail is that the lamps come as a pendant and table lamp with exactly the same shade that has just been turned upside down. For example the Lotus Mini model is available as a beautiful pendant and as a table lamp on a tripod. 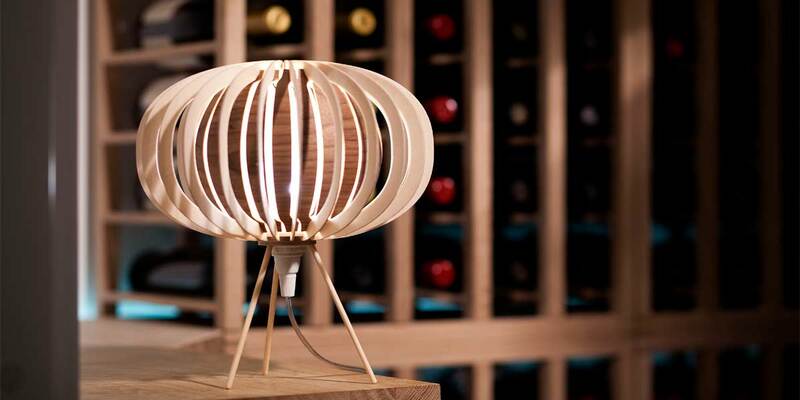 The beautiful lamps are made of wood, but not just any kind of wood. 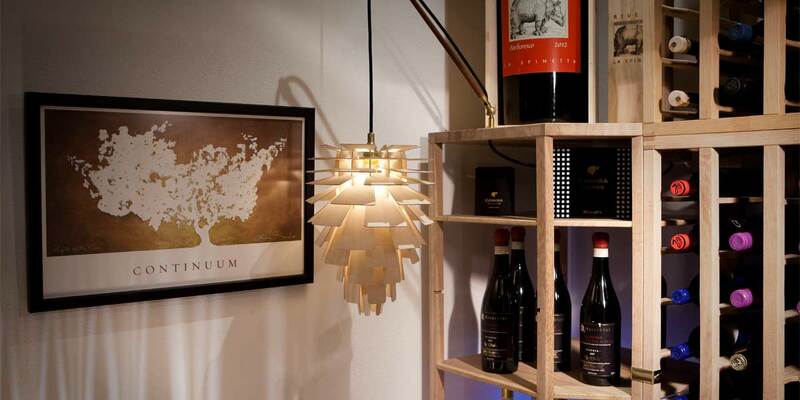 The finest possible birch veneer from Finland is the raw material in all of the Supercone lamps. The plywood used is classified as ”Aircraft plywood", and as the name suggests the plywood was originally designed to build planes during World War II. The veneer is of high strength and the finest flawless quality. The plywood for the lamps is labelled with the International PEFC Standard (Program for the Endorsement of Forest Certification), which guarantees sustainable forest management and traceability of wooden products. Acrylic is also used in some versions of the lamp shades in order to provide a different kind of light refraction resulting in a very special lighting and ambience. Basically, the Supercone lamps are divided into two categories, pendants and table lamps. A suspended pendant from the ceiling, creates a beautiful illumination both from the top and out into the room. With elegant round shapes, the models Pumpkin and Drum are designed with a shape recalling memories of PH's Snowball, but also Verner Panton's universe from the 70's. A clever feature to at the Supercone lamps is that their design works just as well when turned upside down. When a pendant is mounted on a tripod, suddenly new possibilities arise. The lamps are designed to fit beautifully with the ambience of a wine cellar. They are created for an environment based on the exclusive wine racks from the danish Moldow Wine Racks. All Supercones lamps are hand built without the use of any kind of screws, nails or glue. The most simple ideas and basic principles cause, as we can see, the most beautiful lamps from Supercone.